← Muddy Trails? Why you really should turn around. There’s a huge trail work event happening at O’ Bannon this weekend. They need your help clearing the Adventure Trail. The goal is to clear the sections overlooking Indian Creek and the Ohio River. This is about 12 miles of clearing, so we are hoping for a big crew of volunteers. Volunteers have already cleared 5 to 6 miles of Adventure Trail. 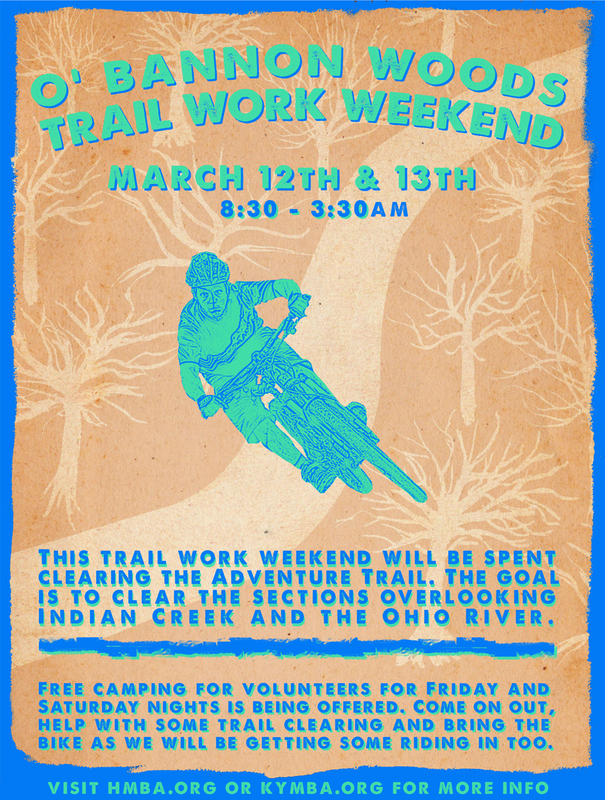 With your help after this trail weekend we should have the whole back section done linking the park trails with the AT to make for some epic riding right here in our back yard. Posted on March 7, 2016, in News. Bookmark the permalink. Comments Off on O’ Bannon Trail Weekend.